Unpaginated. 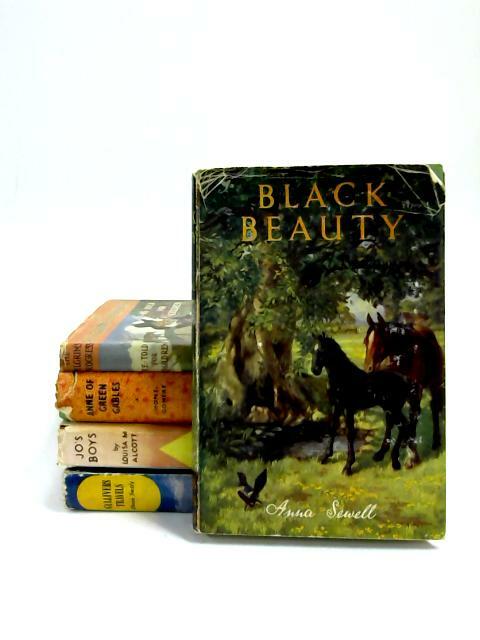 Set includes: Anne of Green Gables, Jo's Boys, Black Beauty, The Pilgrim Progress, Gulliver's Travels. A gift inscription to ffep of 'Anne' and a bookplate to 'Jo's Boys'. Some light tanning to all prelimns, mild spotting to page ends. Overall, neat and clean within. Some softening to spine ends and rubbing to board edges, a little fading to some boards. All with jackets, except 'Gulliver'. All price clipped with moderate shelfwear, small tears to dges.